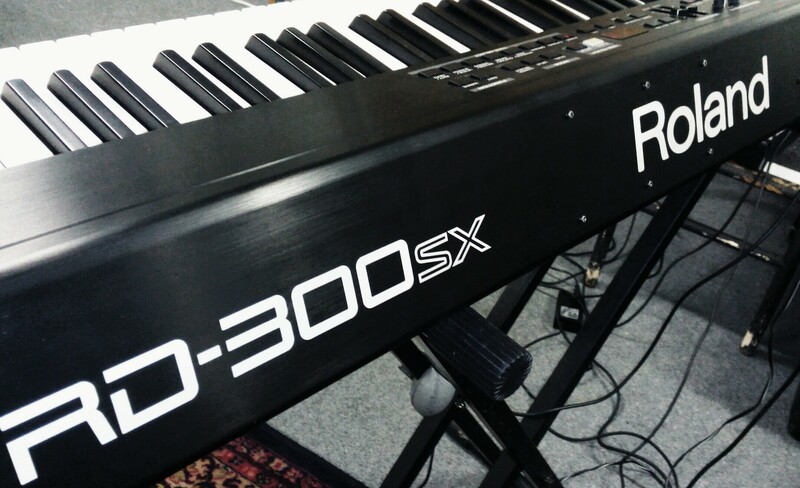 RD-300SX, Digital Piano from Roland in the RD series. A good grade because the most imprtant sounds are very good (piano, organ and EP) and the weight is correct. In the end, I always use the same sounds and know my heart rglages by these few sounds. It seems to me simpler than the presets. Sons of Rhodes piano and organ are at the top. 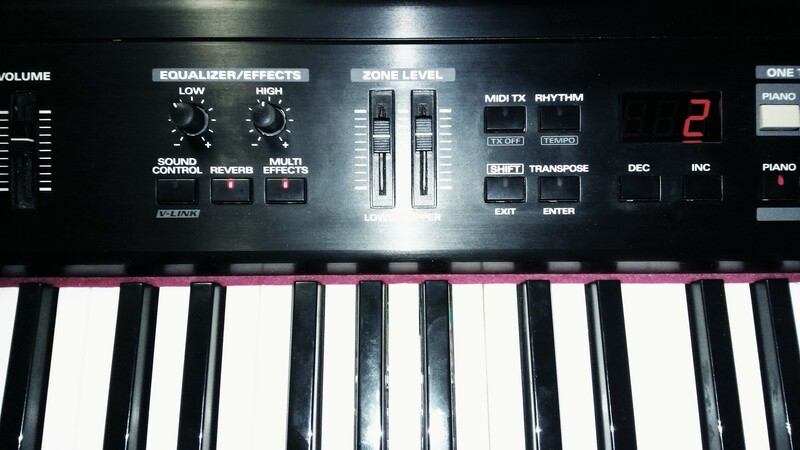 The keyboard is pleasant: it's good for jazzeux Roland So, we like. The effects will not use. For my part, I have my branch wha and my tremolo on the RD and I do not use internesdu RD300 effects. For those who want a good course with some big sounds (deu first piano, the three EP and one or two organs) and that a reasonable price, go for it. The sound of this keyboard is acceptable for me and for my use (non-professional). While 50% sounds seem to me the gadget, but in regard to three main families of sounds (piano, electric piano, organ), there is (almost) as good surprises. The pianos are particularly successful. About a hundred sounds are easily accessible. There is also sound and diffrent GM2 drum kit there are some rhythms. It is far from being plthorique but all tones are of high quality. It's really a keyboard scne East, for example there is nothing prvu to bring the scores, it's a shame, because before you know it by heart even when a lot of read the sheets! - Using ultra simple. No need to program the machine, it will pass trs well, everything is intuitive. - The order felt good: We RULES easily level layer, a legalization two bands will make the brilliant sound of the piano when switching from headphones to the monitor. - One touch piano to piano rccuprer prfer of a button. This is not a principle gnral, but it rpond required 80% of pianists. - A box for basic rhythm train home. Compared to the RD 170, the keys are less plastic look. - A tail sampled piano on all the notes we feel t he sampled on several levels VLOC. Added the dclinaisons classical piano softer, honky, piano study. - The Electric Piano, Rhodes, Wurlitzer sound! We can play on his sound effects for EP. Only the Clavinet that does not suit me, but it is subjective. - Organs: zippers are missing ... but they are good. - And the sounds useful: bass, violins, pads ... It yammer a Voice Ooh wah ... so funny that I want to do a piece just on that basis. It's all good! Throw anything away! I just bought it and did not undergo the proof of the concerts. But unless it fails I do not see how I could be the! This keyboard is not a decoy in the sense that it promises nothing gadget and I feel that all the money I invested was used for useful functions and it was just for a excellent quality price. The simplicity is the word for this machine matre completing his contract. 88-key, normal, so ... Sounds relatively large, for me it is more, since I asked him c'tait primarily to be a piano, because I have a Triton ct more sound banks on my computer ... I would add that if the comment below me regrets the lack of something to ask his scores, I personally rent it. It's a piano scne, I use it for my components, so no partitition and frankly bored trs to have a pice of plastic bte derrire the body of piano, especially for transportation, or the ugly little holes rear mtallique To insert a rod to hold the partitions. Especially a lectern, it's really cheap, if you really need ... Collection's outdoor, this piano is quite an Aesthetics russia (less ugly than the unspeakable faux wood Yamaha Roland ...), so thank you for not inflicting us a. Touch, if not that of a piano vritable, forcment is close enough to be enjoyable ... 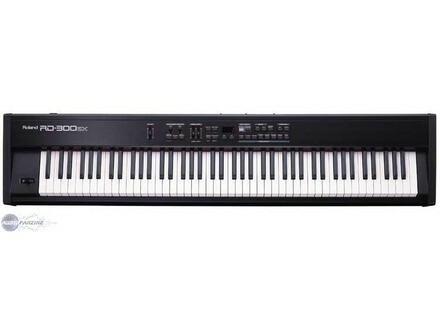 If anyone here has attempted on scne to play piano parts on a Korg Triton synth or other without touching the piano, it will be dj frankly delighted with the RD-300SX ... Softer than my upright piano, but enough to afford to play all that can be played on a piano vritable no surprises, and with the same enjoyable feeling of really playing the piano. Setting simple, fairly intuitive buttons and ... Accs rapid DIFFERENT sounds, nothing wrong. The manual is sufficient, plus the list of programs ... Given the simplicity of use, I do not see what more. 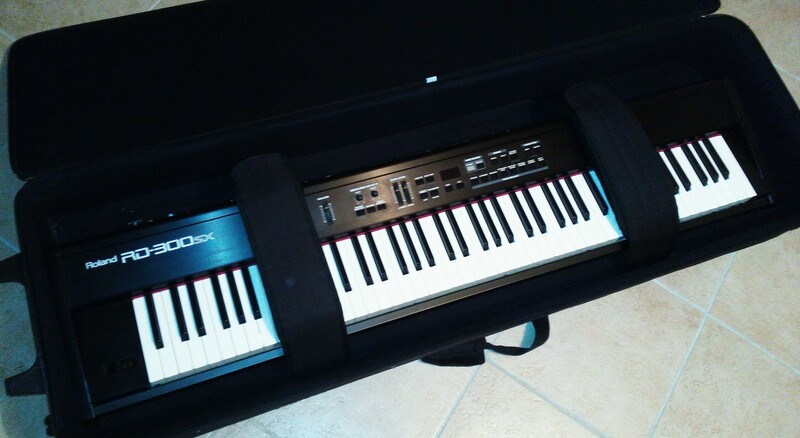 As mentioned above, I just wanted a piano, a Korg Triton and I have my computer derrire branch, I do electro rock, so for the sound, I have everything Whereas what I needed UNLESS a piano that sounds really like a piano and not like cardboard ... In addition to my desire for a true piano touch for too many parts mlodiques more and more complicated where the Triton could not follow. And finally, I trs INTERESTED Discoveries sounds, and I soon Intgr certain organs, pianos and electric bills trs my compos ... Although sr, voices, brass and other sounds there are gadgets. But enough trsrussis sounds for the use of this piano is a real pleasure.